The Ear Centre at Green Pastures Hospital is an excellent purpose-built facility for treatment and rehabilitation of all adult and child ear related conditions. 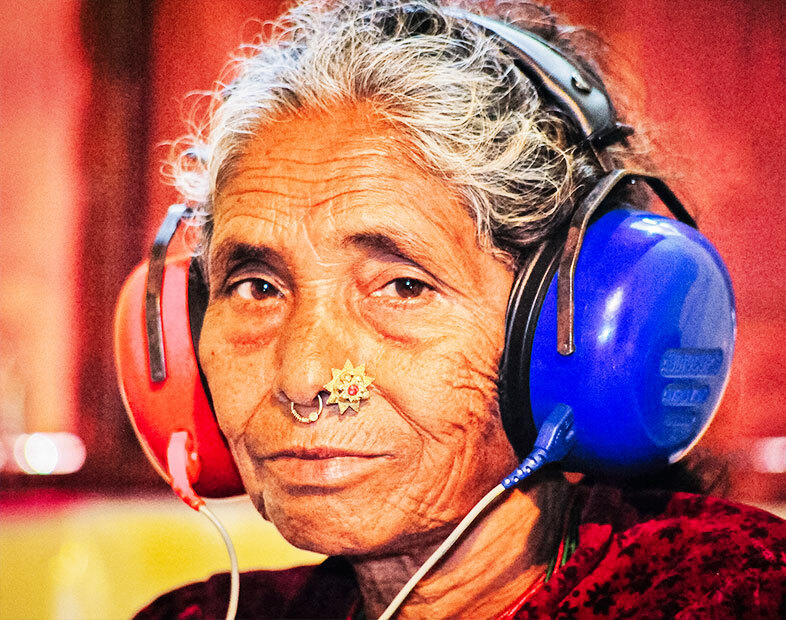 Ear disease and deafness are very common in Nepal due to the combination of poverty, dust, wood smoke, viral and other infectious diseases and intermarriage. Increasing urbanisation is leading to more noise exposure and use of ototoxic drugs. Lack of knowledge in the community and late treatment exacerbate these problems. The Ear Centre was conceived as a hospital with all facilities but importantly also as a training centre. We offer audiometric testing, hearing aid fitting, speech therapy, medical out patients and a wide range of ear surgery. We would love to recruit those with a passion to serve Christ and disadvantaged people in this area, and who have suitable professional qualifications. We want to develop training packages for volunteer and paramedical ear care workers for the hospital and for the community. We hope to start ‘at risk’ testing of newborns in local hospitals, run trainings for community medical assistants and general doctors, train ENT specialist and upgrade otological services generally, in our region and further west. We hope to develop a cochlear implant service. We will need a great deal of support and outside input in order to see these needs met and local services become sustainable. A Speech Therapist – to work, in particular, with hard-of-hearing or profoundly deaf children. There may also be opportunities to develop this and swallowing services, working with adults having neurological defects attending the spinal and palliative care sections of GP hospital. You may require a masters degree in a branch of the speciality. A Specialist Ear Surgeon – with a desire to drive the service forward, developing new avenues such as the newborn screening, local and remote community ear care work, including ear camps. This will require close cooperation with the leadership of the Health Services Team at GP and within INF, as well as regional and national heath services. It will be challenging and require persistence, patience and time! Opportunities abound for developing new areas of service. You will need good teaching and organisational skills in order to develop regional, national and perhaps international courses. An ability to mentor local colleagues to take over the service and meet the specific needs of Nepali people is also required. A Health Educationalist – with an interest in ear conditions and deafness, to develop volunteer and paramedical ear care trainings, develop materials and techniques for health education within the Ear Centre and local community, including schools. This will require particular cultural sensitivity and excellent communication skills. An Audiological Scientist – with a particular desire to develop specialist areas such as advanced audiological testing like ABR and OAE with a view to a full implant programme. There will be opportunities to develop areas such as an audiometer calibration service, peripheral hearing aid repair and supplies service, and perhaps small business enterprises. You will engage with local maternity and paediatric units and offer audiological training courses. Others – If you have expertise and vision for this area then we want to hear from you! We have a great team and a desire to serve the often ignored deaf population and those with chronic, and sometimes lethal, ear diseases.